Having a maternity photoshoot is pretty much a pregnancy rite of passage, right? Especially when it’s your first child. 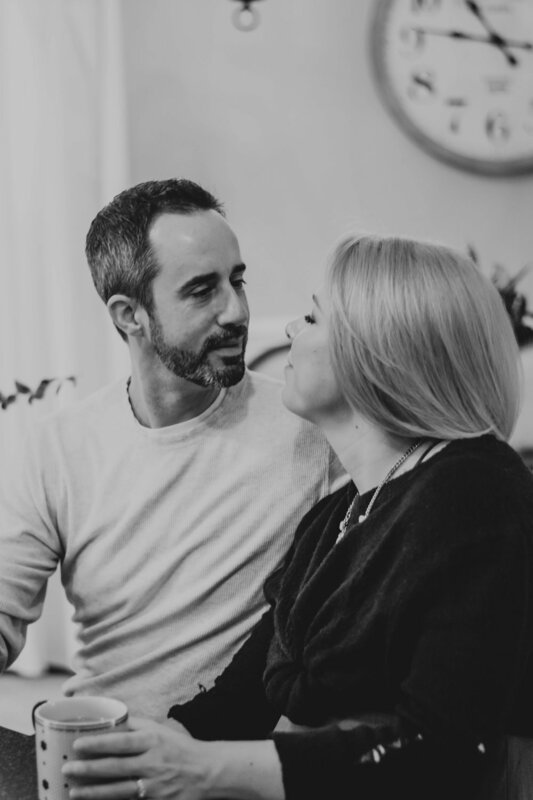 I knew when I became pregnant that I wanted to capture this chapter in my life, but I’ve gained almost thirty pounds and have simply not felt like myself. Which is to be expected! After all, I AM pregnant and I'm not myself. Luckily, I have amazing photographers whom I trust infinitely to capture me in my best “light.”. Charlyn and Samantha of CS Photography photographed my elopement last year and my husband and I just love their work. When we asked them to photograph us again, I knew they would respect our vision of having more of a lifestyle shoot than a maternity shoot. The morning of this photoshoot was kind of perfect, despite the lack of sunlight coming through the windows and having chosen my outfit about 4 minutes before Char and Samantha arrived. My husband and I made some coffee in the French press and we just sat around and enjoyed each other’s company while the girls snapped away. That’s what is so wonderful about a lifestyle shoot - it’s not overly posed so you can be a little more relaxed. Every now and again Char or Samantha would make little suggestions on positioning or where to direct our eyes, but for the most part we were just hanging out. And it was lovely. 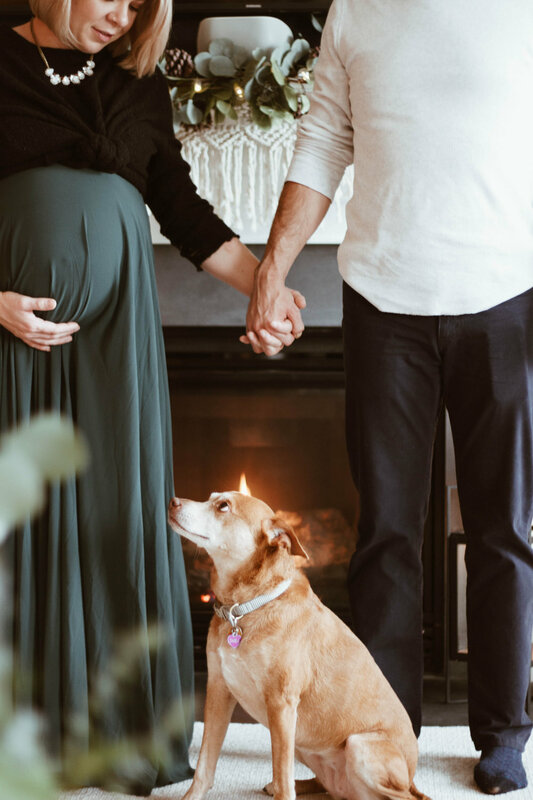 These photos are proof that you don’t have to have a cheesy, uncomfortable, posed maternity shoot with the way overdone heart hands over the belly button. And if that’s your thing, I hope you aren’t insulted, but it’s not mine!